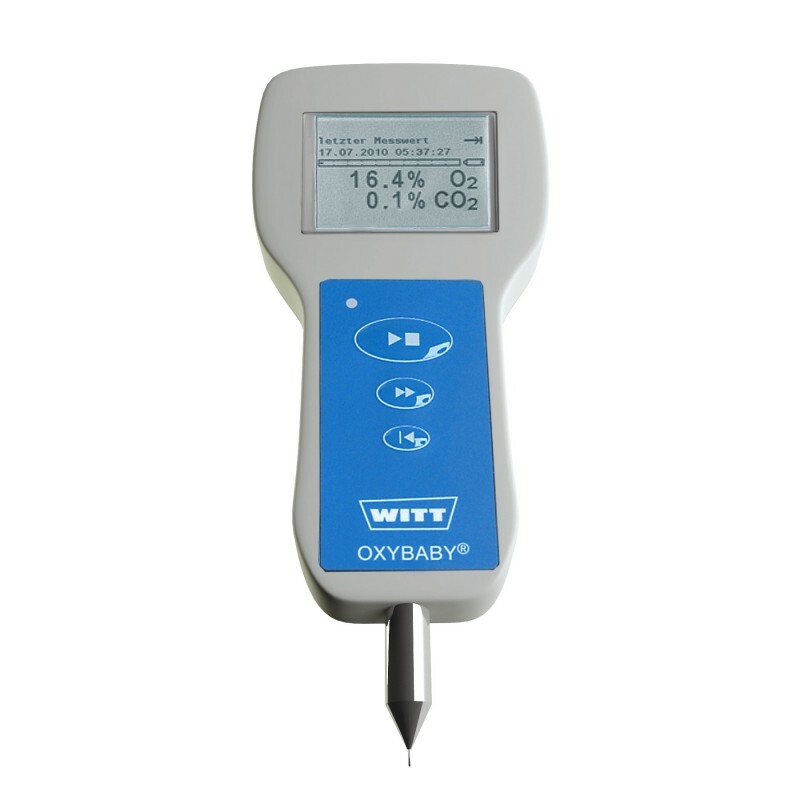 Ensure that the quality of packaged food is maintained and guarantee continued customer satisfaction with the Witt Oxybaby packing gas analyser. This O2 and CO2 packing gas analyser has been specifically designed for the measurement of modified atmospheres in food packaging (MAP). Cordless, battery operated and hand-held, the packing gas analyser is ideal for portable and accurate sample tests at the packaging machine, in stores or within laboratories. Ease of use is promoted by the ergonomic design of the analyser, rapid sampling time and minimal sample gas requirements, allowing for the smallest of modified atmosphere packages to be tested. The Witt Oxybaby also features a unique attribute that avoids incorrect measurements, in the form of permanent flow control with an automatic alarm that alerts users of any blockages present in the needle or filters. Fast and easy communication is provided via the USB port or optional Bluetooth interface of the Oxybaby, allowing for data transfer or the connection of a separate printer. More options are available, such as the barcode reader, documentation software or can piercer for the MAP measurement of cans or bottles. 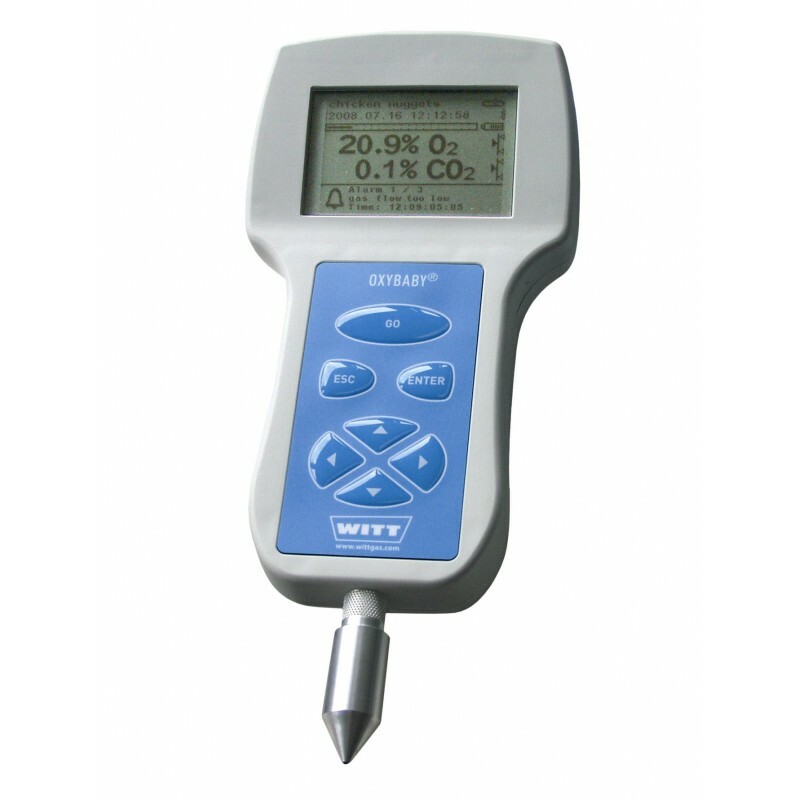 The Witt Oxybaby is available as the basic M+ version or the 6.0 premium version. Please contact us for a quotation and for up to date lead times. Our detectors are sourced direct from the manufacturer so that the sensors have the longest possible life span when they arrive with you.